When BlackBerry launched its first all-touch model, the BlackBerry Storm 9530, via Verizon in the fall of 2008, it might have been the worst launch ever. The accelerometer worked occasionally and the overall impression was that the phone came to market half baked. That launch led RIM's co-CEO at the time, Jim Balsillie, to say that all smartphone launches in the future would contain buggy software that would need numerous updates. Thankfully, the future of smartphone launches never approached Balsillie's prediction. But we do have to note that when the all-touch BlackBerry Z10 launched earlier this year, some owners were battling a nasty bug that would automatically reboot the phone. Those with a Z10 powered by BlackBerry 10.0.10.684, 10.0.10.672, and 10.0.9.2743 have been prone to the random reboot issue which should be resolved with an update to BlackBerry 10.1.2050 or higher. That is the word from a BlackBerry Knowledge Base article. Last week, AT&T tried to send out a BlackBerry 10.1 update but had to halt it before it could be completely rolled out to its 'Berry totin' customers. It seems that the Canadian based OEM had started pushing out the update before the carrier had put it through its testing process. That doesn't mean that the update requires any changes to it, it just means that AT&T hadn't had the chance to affix its seal of approval on it. The very same update will most likely be sent out for a second attempt soon. Since no notification was sent out to alert the operator's Z10 users that an update was available (which it was for a few users for a brief period of time), those who had rebooted their phone or had happened to hit their monthly update check at the right time, were able to see notification of it and download and install the latest update to the OS. Meanwhile, Verizon is said to be close to getting its Z10 owners up to date, leaving those on AT&T frustrated and envious. 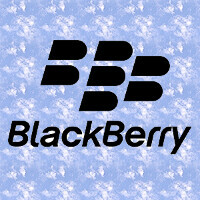 The word around the barber shop is that the nation's second largest carrier will try again to update the BlackBerry Z10 on July 1st. HA! I KNEW the Z10 I tried had a rebooting issue! Take THAT, all you jerks who said I was lying! The company has had its reboot. I actually tell everyone who wants to talk about it how much I like the new BB OS. It depends on which version you're running. If it's the original and not 10.1, whether a leaked version or not, the battery life was weak. With 10.1, it's much better. z10 reboot issue is rare very rarely found in other countries, even in third country such india, philipine, indonesia, nigeria. No doubt in America there is always big actor behind the scene. Rich and really powerful. abit to late.... i allready sold my Z10 and bought the Q10 loving it!